If you, like millions of men and women throughout the world, are suffering from the effects of androgenetic alopecia, or genetic hair loss, then you understand how debilitating and harmful the condition can be to your self-image. While efforts to develop a cure for this common affliction remain underway, modern treatment options offer hair restoration methods that are more advanced than ever before. At Carolina Hair Center, we proudly offer only the most effective hair restoration treatments to our patients. The hair restoration market is inundated with false promises and deceptive products that provide little more than a placebo effect. Under the leadership of Dr. Cooley, our resident hair expert, we can help you restore your hair utilizing only the latest and most effective treatment options, including hair transplantation surgery. For the many men and women suffering from genetic hair loss, the promise of a surgery that can rebuild hairlines and restore a thick, natural head of hair seems too good to be true. While it may seem like an impossibility, hair transplantation surgery can truly combat the effects of hair loss using your natural hair. Unlike older hair transplantation methods that resulted in the infamous and unnatural “pluggy” look, modern hair transplants offer results that are indistinguishable from surrounding hair growth. Currently, the two main methods of hair transplantation surgery are follicular unit extraction (FUE) and follicular unit transplantation (FUT). Both options are viable methods for restoring hair and have their own advantages and disadvantages. Some patients may be candidates for either procedure, while others may benefit more from one than the other. At Carolina Hair Center, Dr. Cooley will go over both methods with you in detail, helping you come to a greater understanding of modern treatment options and make an informed decision in how to best combat your hair loss. Good candidates for hair transplantation surgery are adult men and women who are interested in restoring their natural hair using surgical methods. Because women tend to suffer from more diffused hair loss, not every female patient is always a candidate for hair transplantation surgery. Dr. Cooley can determine if the procedure is right for you and discuss alternative treatment options after an in-person consultation. Candidates for hair transplants will need to have enough hair located in their donor sites to contribute toward the grafting part of the restoration process. For men, donor hair grafts are taken from the back and sides of the scalp, since these areas are more resistant to the damaging effects of androgenetic alopecia. For women, hair grafts can be taken from most areas of the scalp, assuming they are not suffering from diffused hair loss. Finally, if Dr. Cooley determines you are a good candidate for hair transplantation surgery based on the state of your hair, then you will need to make sure you are able to provide the attention and care your scalp will require in the weeks and months following your procedure. 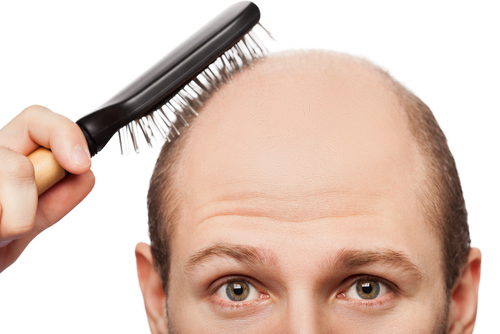 Not every patient suffering from hair loss is prepared for the prolonged but rewarding process of hair restoration. Hair transplants are often the best option for those affected by genetic hair loss seeking a lifelong solution, but the results do not happen overnight. Following hair transplantation surgery, you will need to follow specific instructions for several weeks regarding how to care for your scalp while your newly-transplanted hair grafts are vulnerable. Failing to take the recovery process seriously can cause the grafts to become dislodged and create unfavorable results. Once your scalp heals over in about two weeks, your new grafts will actually shed their hair as they continue to settle in. New growth will not be apparent until about two to three months into the recovery process, with truly visible results developing in the six- to nine-month range. After 12 months of growth, you will finally be able to enjoy a thicker, fuller head of hair with all of the transplanted grafts producing new hair. So, do hair transplants work? Absolutely, but you need to be prepared to play an important role in the process. Hair transplants offer a rewarding, effective and long-lasting treatment option for those suffering from genetic hair loss. While hair transplants can reshape and rebuild your hairline, they are just one step in a comprehensive hair restoration process to truly combat hair loss from all angles. To learn more about hair transplants and how you can enjoy a healthy, natural head of hair for years to come, schedule a consultation at Carolina Hair Center. Call us today at 704-542-1601 to book your appointment with Dr. Cooley.